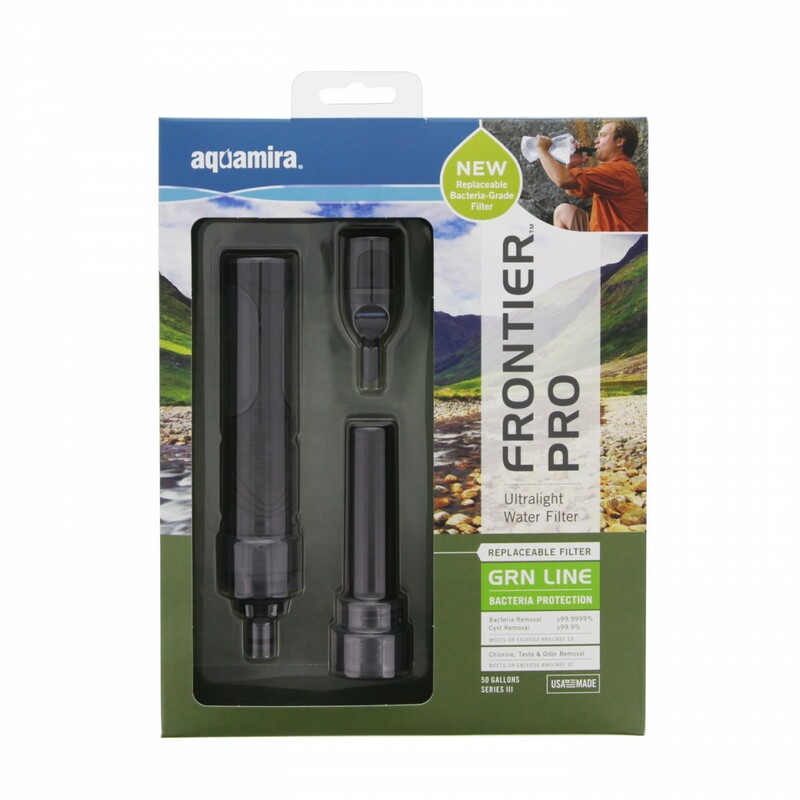 Aquamira may have created the most versatile, portable and convenient outdoor water filter system on the market with the Frontier Pro. Stick it on a water bottle, thread it onto the end of a bladder, even attach it to a hose to enjoy fantastic filtraction anywhere, anytime. At only 2 ounces, you'll hardly notice this little filter is in your hiking gear. Whether you need a filter for emergencies or to provide extra protection during a stay outdoors, the Aquamira 67006 Frontier Pro has you covered. 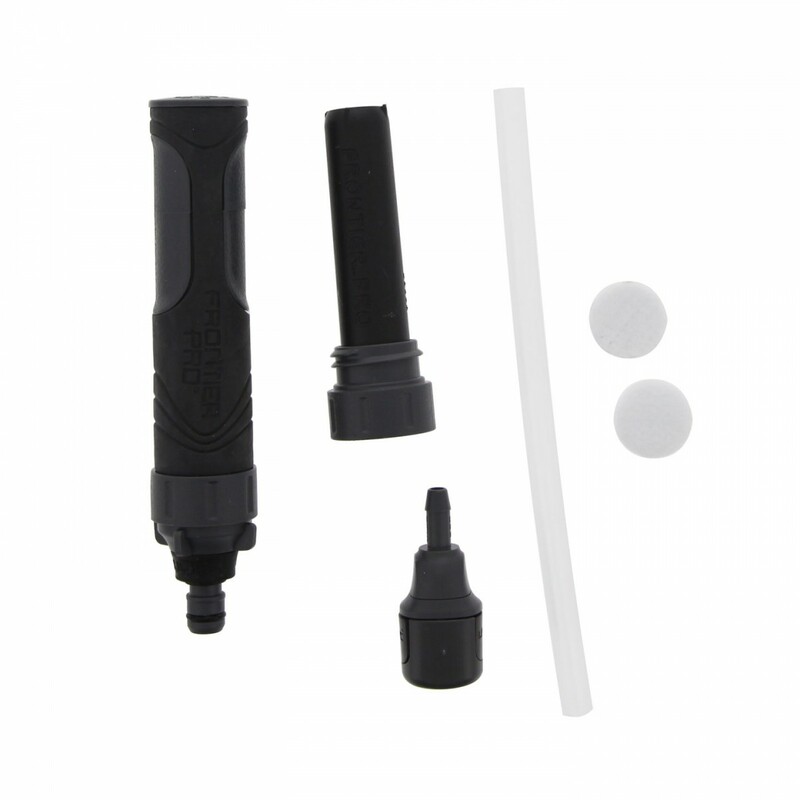 Powerful, pocket-sized water filtration. Drink straight from the Frontier Pro or connect it to a water source for the ultimate in versatility. 50 gallon capacity for long term filtering. Designed for almost any outdoor situation.